A bright smile can be more than just attractive: It can also be healthier for your whole body. Dental health has been closely linked to overall health, and periodontal disease has been linked to diabetes, Alzheimer’s disease, respiratory infections, pregnancy complications and cardiovascular disease. Getting your smile back on track requires the right combination of good dental hygiene and timely dental treatments. Our dentist in West Hollywood can help. Brushing your teeth twice a day and flossing every day can help reduce plaque and tartar buildup, but regular professional cleanings are still essential for good dental health. That is because it can be easy to miss small areas, particularly on the chewing surfaces, in between teeth, along the gum line and at the back of the mouth. Our dentist will clean each surface of each tooth thoroughly, polish them to eliminate surface stains, making it harder for bacteria to adhere to tooth enamel. We may also recommend preventative treatments, such as fluoride or dental sealants, to keep your teeth stronger and healthier over time. Our United Health Care PPO dental insurance dentist in West Hollywood can provide other dental services, such as tooth-colored fillings, orthodontics, porcelain crowns and dental implants. Restorative treatments such as these can restore your mouth’s health, function and beauty. We can restore lost teeth, rebuild damaged teeth and treat periodontal disease so that you can enjoy a lifetime of good dental health. We understand that your days can be busy, but taking the time to visit us twice a year can keep your smile and your body healthier. We can recommend cosmetic treatments or procedures that can give you the confidence to smile more. 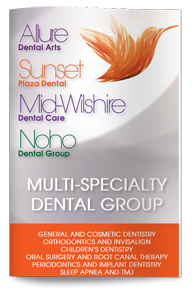 Give us a call today to schedule your next consultation with our United Health Care PPO dental insurance provider in West Hollywood.